More than 45% more memory and 66% more memory bandwidthEnjoy the latest games with the GIGABYTE AMD Radeon VII graphics card. Powered by 7nm technology, Radeon VII delivers vivid gaming visuals in up to 4K and virtually limitless content creation in 8K, VR and more. With support for DirectX 12 and Vulkan the AMD Radeon VII will make incredible gaming experiences with ultra-smooth and consistently high framerates at 1440p, ultra wide and 4K. 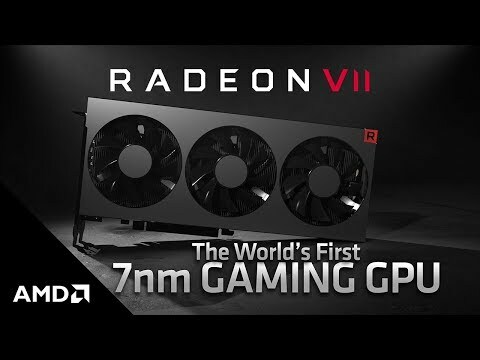 With 16GB of HBM2 memory the AMD Radeon VII is suited for memory intensive applications. has 45% more memory and 66% more memory bandwidth than other the competitive gaming GPUs in its class. Create content with ease, even in 8K resolutions, take the tools to improve your work pipeline. 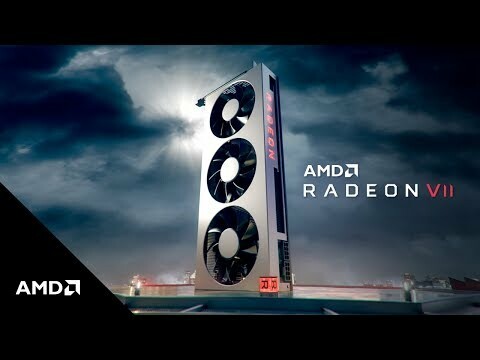 World’s First 7nm Gaming GPU AMD have designed the world’s first 7nm gaming GPU, with a massive 16GB HBM2 memory and lightning speed of 1TB/sec memory bandwidth, the Radeon VII has increased memory and memory bandwidth that towers above other GPUs in its range, the extra horse-power will help in providing more stunning visuals and greater performance in games and content applications alike. 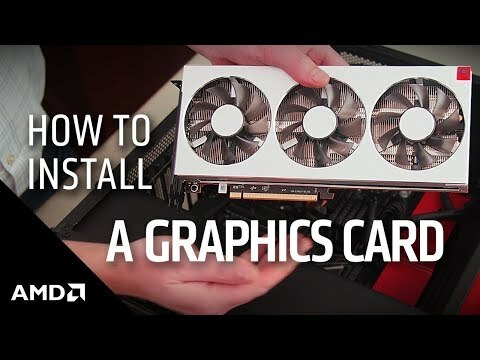 Get great Workstation Performance even at 8K Even though the AMD Radeon VII will be a contender for one of the top GPUs on the market for gaming, it is also perfectly suited for memory intensive and graphically demanding applications. Embrace content creation even in 8K resolutions, no need to worry about the stuttering slow response as your work gets more and more demanding as the AMD Radeon VII puts those fears to bed. AMD Radeon VII FreeSync and FreeSync2 HDR Pair your new AMD Radeon VII GPU with a large selection of FreeSync gaming monitors. With such a wide array of monitors equipped with Radeon FreeSync or Radeon FreeSync2 HDR available you can enjoy choosing monitors that are styled and run how you want, but by choosing a monitor with FreeSync and combining it with an AMD card of this caliber the results will be a stutter-free, tear-free and artifact-free smooth gaming experience. Stream, Share and Tweak Graphics Settings in Real Time Take charge over your gaming with AMD Radeon’s Adrenalin 2019 Edition. Don’t miss a second of the action as the AMD software lets players stream, share and tweak graphics settings. Don’t compromise on your performance and stay ahead of the game. NVIDIA has commanded the high-end graphics space for quite some time, and AMD has had to play second fiddle with a fifth-generation GCN architecture, codenamed Vega, that has struggled to meet expectations.